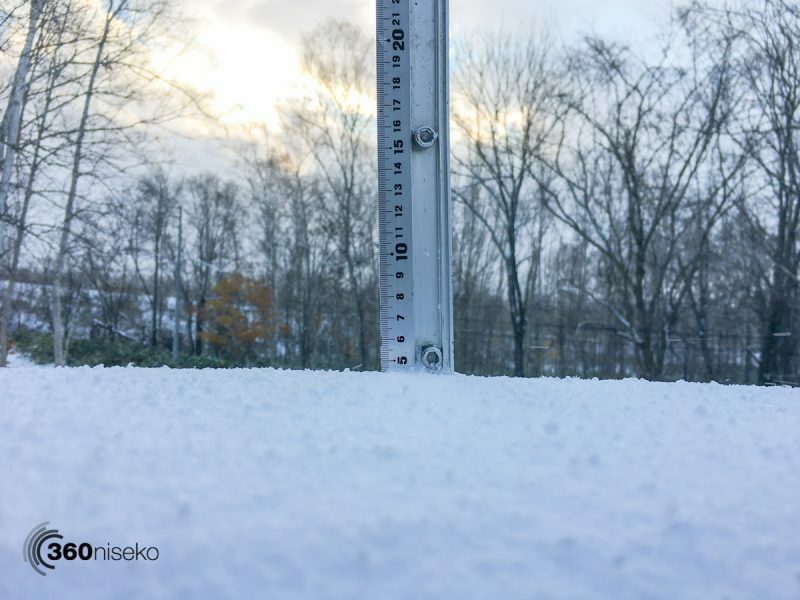 *4.5cm of fresh snow has accumulated in the last 24hrs in Niseko and it is lightly snowing. At 7:30 today the temperature was 0°C. After yesterday’s dream start to the day conditions rapidly went downhill with a snow eating fog rolling onto the area around 10:30 coupled with heavy rainfall. Thankfully the snowfall and cold conditions have returned today and today we have a healthy top up of fresh snowfall. The good side yesterday’s rain is that what snow remains at higher elevations will now have a good bonding base layer setting us up nicely for the coming season. Wild weather out there today with strong winds so be careful on the roads – they will be treacherous.